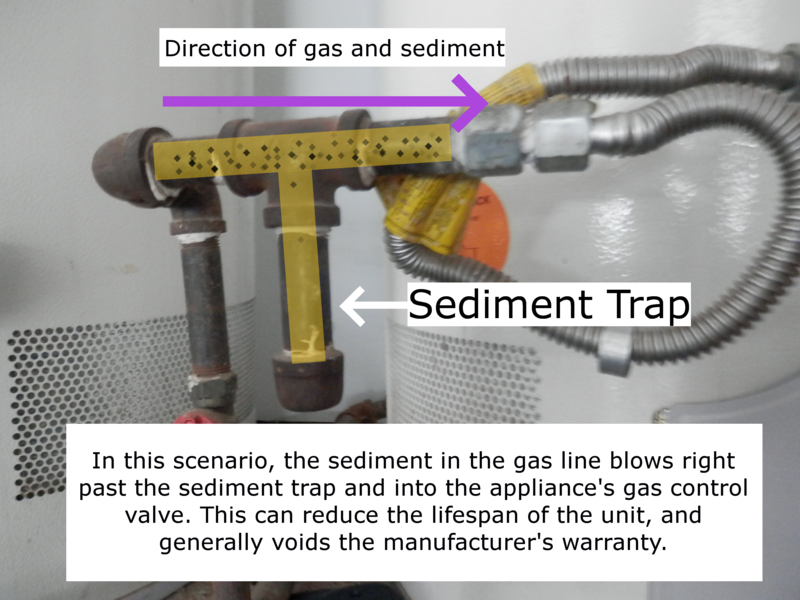 It is not uncommon for me to find a gas line sediment trap that has been installed wrong. This is usually the first thing I look at when approaching a gas water heater. If the sediment trap is wrong, my spector senses tingle, and I look for other problems with the water heater. My spector senses are usually right. 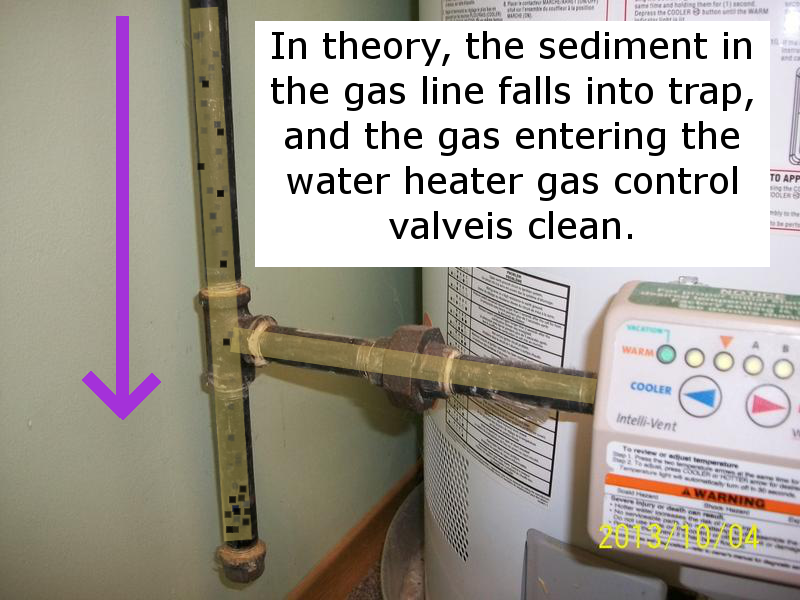 When looking at the photos below, keep in mind that gas is usually very clean, and there is not that much, if any sediment in gas lines. The sediment in the photos is exaggerated for instructional purposes.